Apparently many of us going to live to a 100, although judging by the quantity of alcohol and food on offer at this year’s PLSA Annual Conference in Manchester, that might be a bit of a stretch. 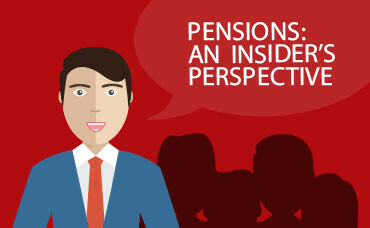 At the conference we saw a demo of the Pensions Dashboard. This was impressive but Government action is required to mandate pension schemes into providing access to their data or it will remain forever beta. They have already shot themselves in the foot of course, with the GDPR regulations. We then heard the impressive Lynda Gratton very enthusiastically extolling the virtues of longevity, telling us all to re-train, work flexibly, take career breaks and embrace our extended life-spans, quite rightly she also said that our industry, and employers in general, need to change too so as to enable this. Our industry is changing, DB pensions schemes are almost universally closed and are on journey plans to secure benefits, or other less quantifiable destinations, and with it, the traditional aspects of pension provision are beginning to look a little shrivelled on their vines. But they are being replaced with hi-tech, app wielding offerings, all designed to empower individuals into becoming masters of their own retirement destiny. And here’s the rub; most of us here in Manchester are well established, probably sitting on DB transfer values, decent properties and have fumbling access to on-line systems that tell us the state of our DC pots. Many of our employers already support flexible working, enable it indeed, and in the main we can probably have fun plotting out the remainder of our newly extended lifespans. I would like to drive a train for example. But there are swathes of the country in blue-collar or casual employment, with pennies in their master trusts, who have about as much chance of embracing their evolving retirements as the successful completion of a GMP reconciliation project to time and on budget. And then there are our children, students who will have to spend years repaying debt which will squander away the opportunity to save for a pension when it really counts. So while it is stimulating and fun to contemplate, there is a vast amount to do to actually make all this count in the hands of those that are really going to need it.